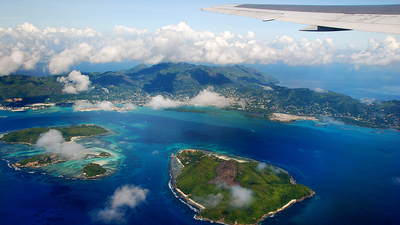 Note: View of Mahe Island (with capital city Victoria) and St. Anne marine national park from a B-767 leaving Seychelles International Airport (SEZ) to Milan MXP. 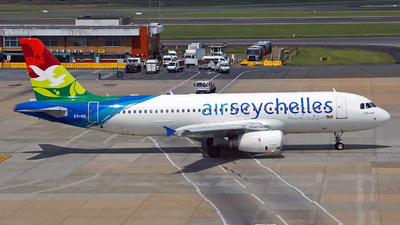 Note: On the way to RWY03L for departure to Victoria SEZ. 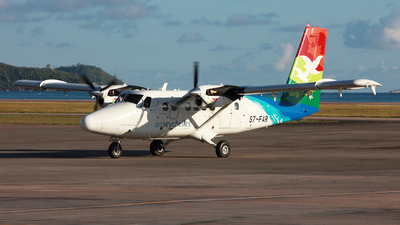 Delivered 03/2003 to Martinair. 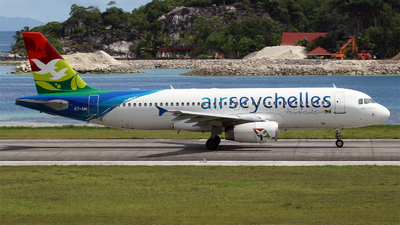 Note: Taxiing to delayed takeoff. 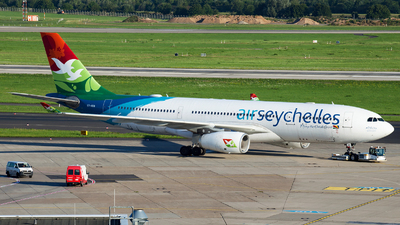 Second last departure from DUS. 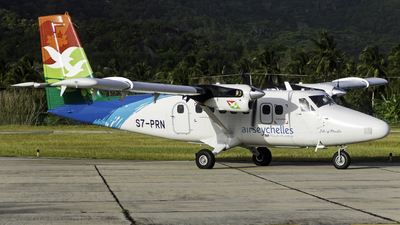 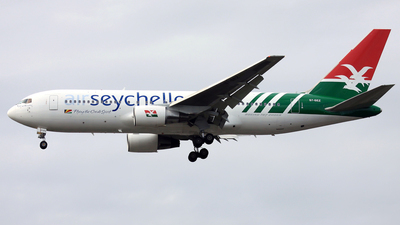 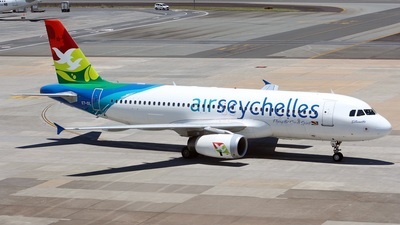 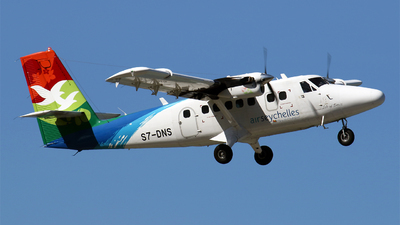 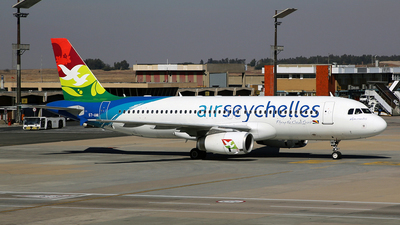 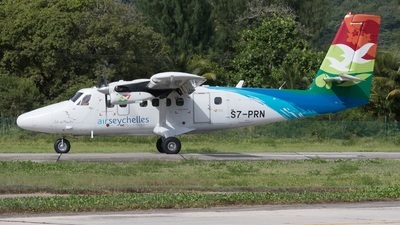 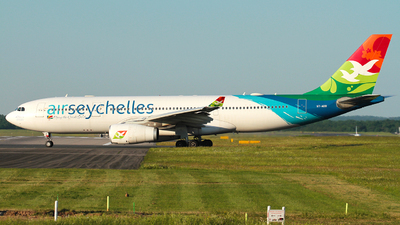 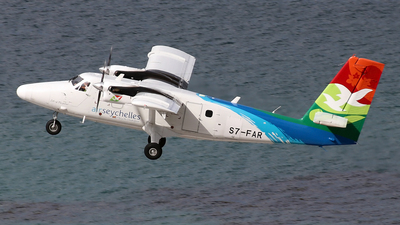 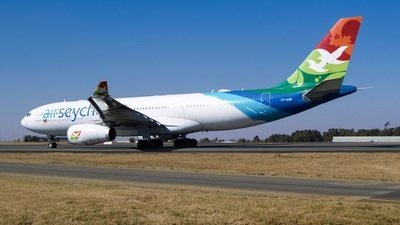 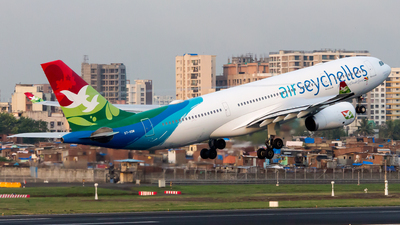 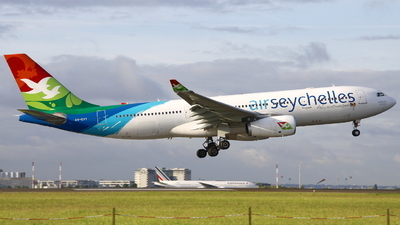 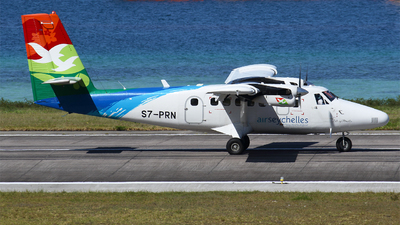 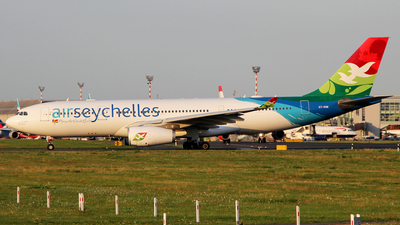 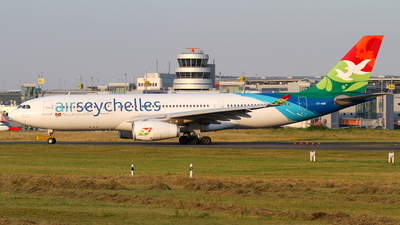 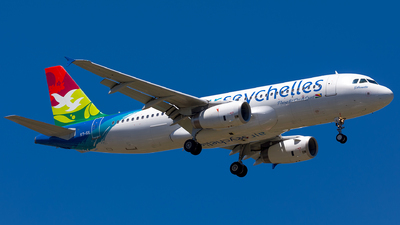 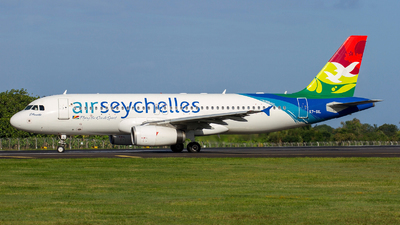 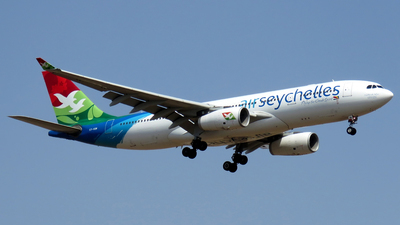 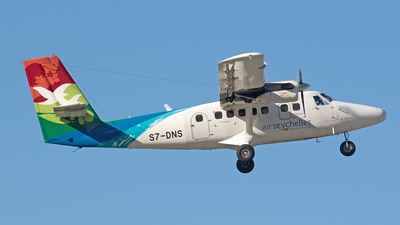 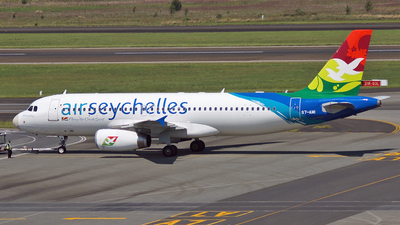 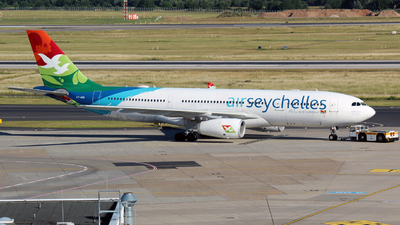 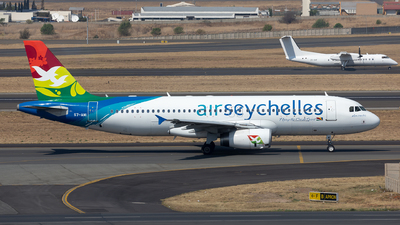 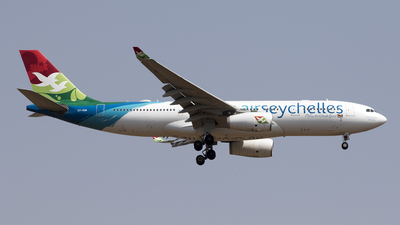 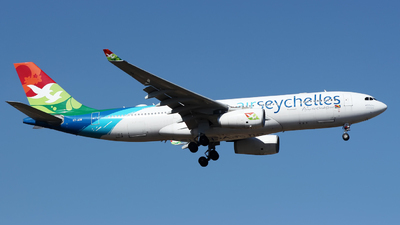 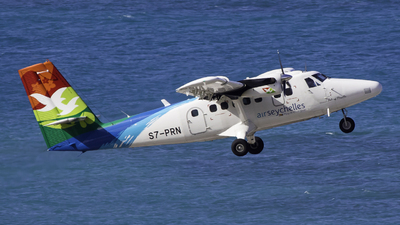 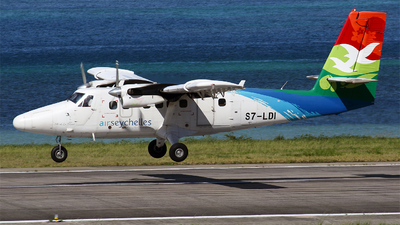 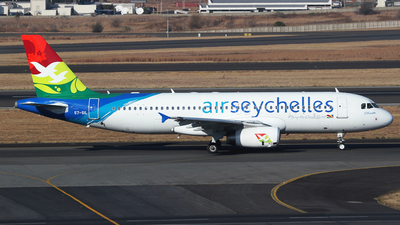 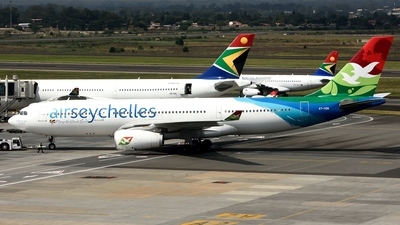 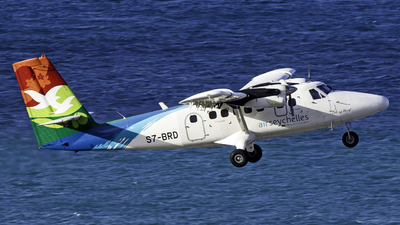 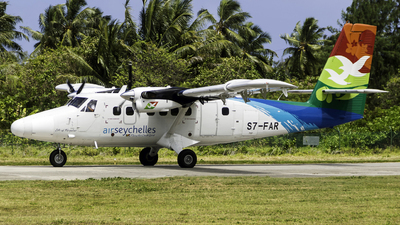 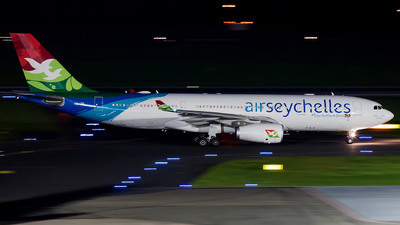 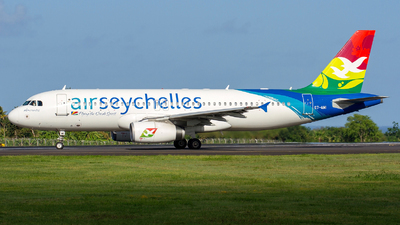 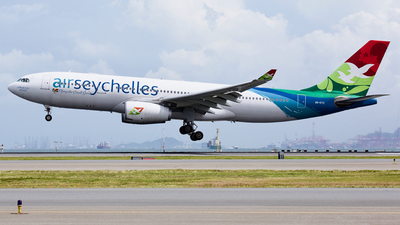 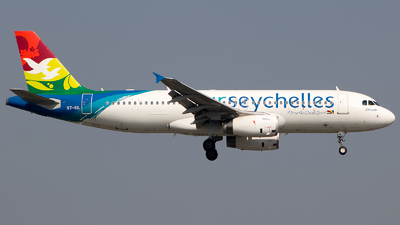 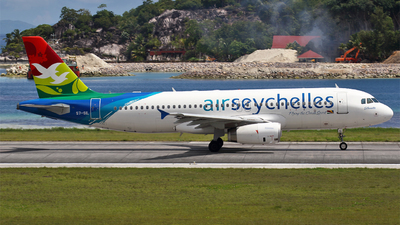 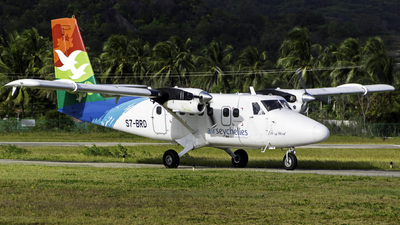 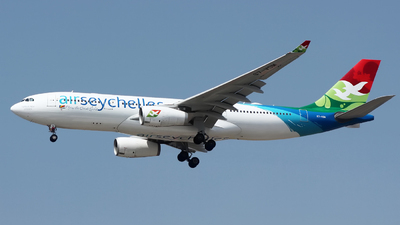 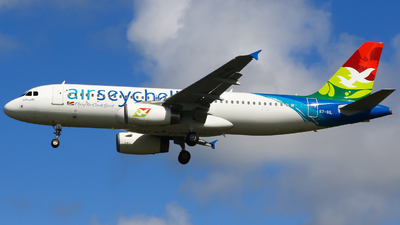 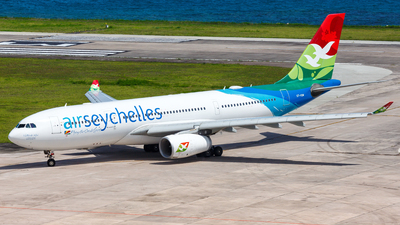 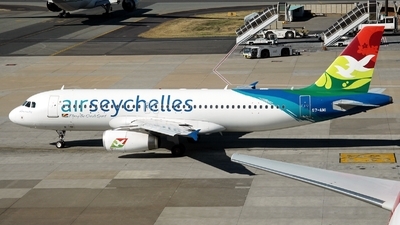 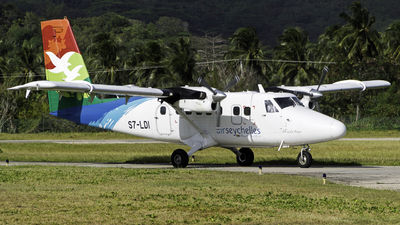 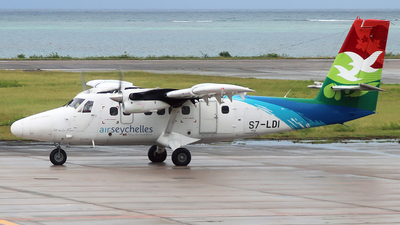 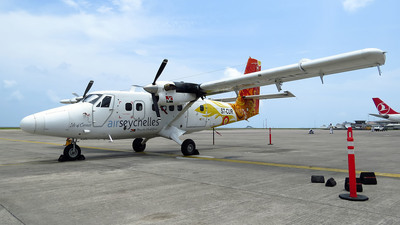 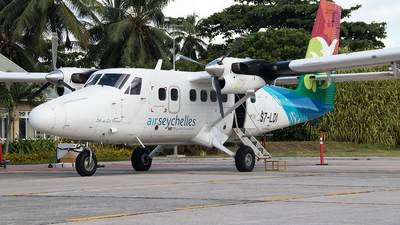 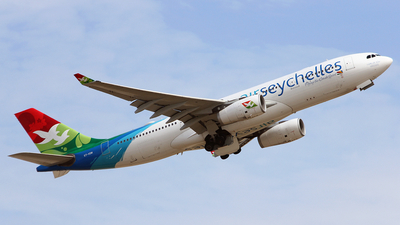 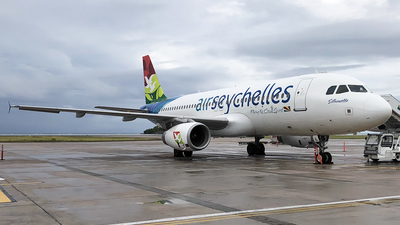 Four days later Air Seychelles ceased operations from DUS.